The Downtown Sailing Center - Where Sailing is for All People! Sailing is a powerful way for people with disabilities to push their limits. The DSC is committed to providing access to sailing regardless of physical ability. The DSC's docks are equipped with accessible ramps, Hoyer lifts and plenty of room. The parking lot has accessible parking and wheelchair-accessible restrooms. The DSC also has two different kinds of accessible sailboats, the Sonar 23 keelboat (used by the U.S. Paralympic Sailing Team) and the Access 303, a one- or two-person non-capsizable dinghy that can be sailed by almost anyone! 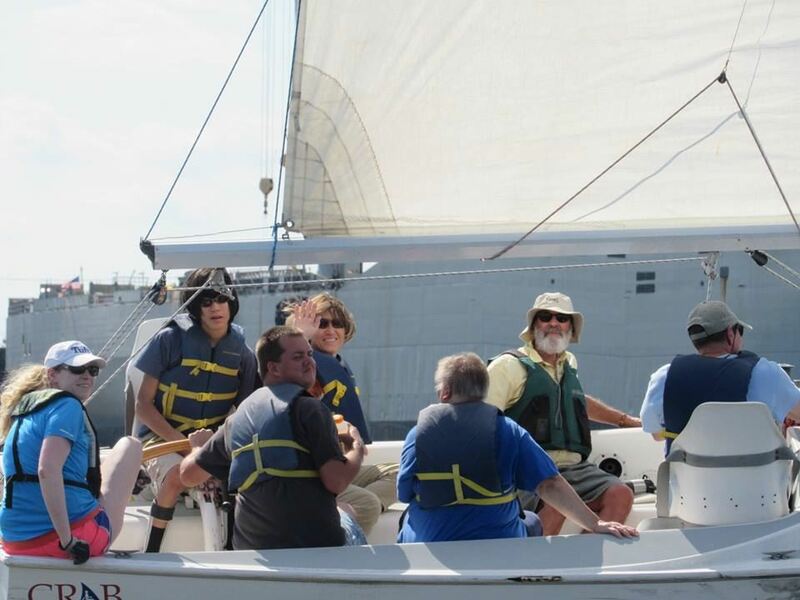 Access-Ability Sailing offers individuals with disabilities the opportunity to sail one or two Saturdays each month from April through August. At the end of each season, these participants are invited to the DSC for a party and fun regatta, the Ya'Gotta Regatta. Click here to view calendar and register as a participant. Partnership programs work with organizations that serve people with disabilities and other organizations, such as churches, synagogues, temples, community centers and youth groups, through our community programs. 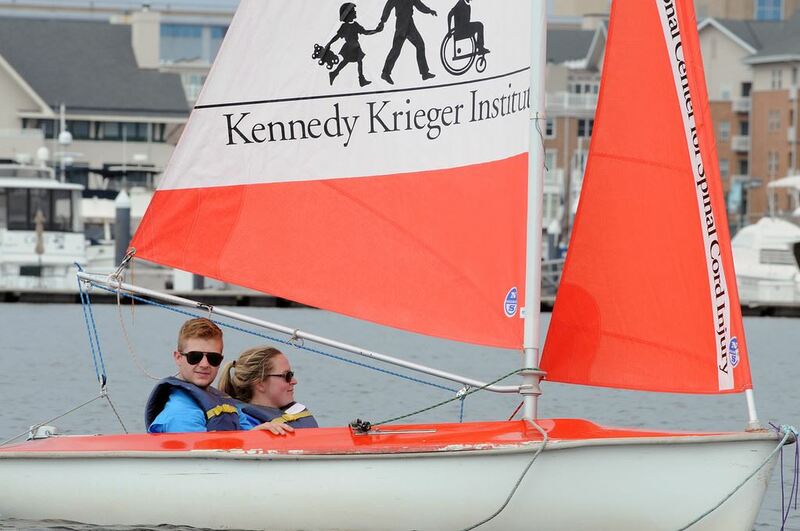 Hundreds of people with disabilities sail at the DSC each summer through these programs. If you would like to know more about any of the DSC's accessible sailing programs, please call the office at 410.727.0722 or send an email to johanna@downtownsailing.org.